The genius of Davell Crawford arises from his ability to play and sing the music of his passion—the music of his life. The New Orleans keyboardist, vocalist, composer and arranger soaked up the surrounding rhythms and harmonies that were his deep musical roots and nurtured his natural talent. 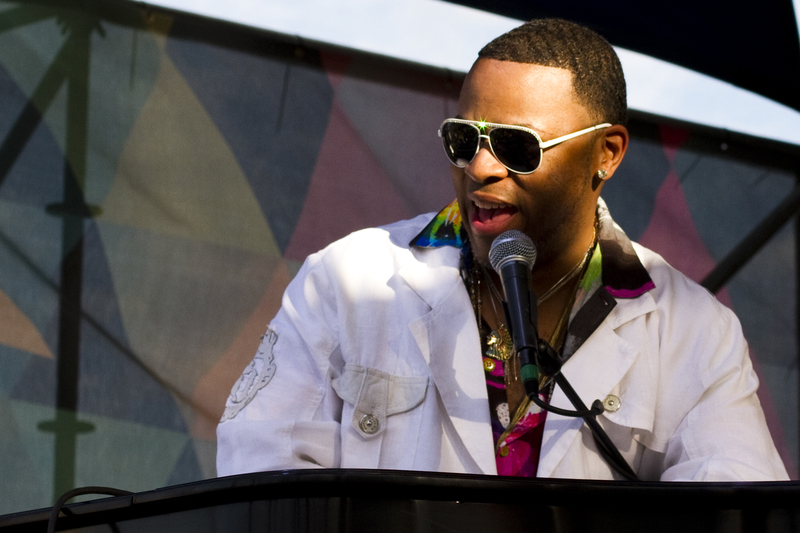 ​ Acclaimed as the “Piano Prince of New Orleans,” Crawford brings equal exuberance to both modern and classic jazz, rhythm and blues, funk, blues, gospel, soul, pop, American folk and touches of country-western. Growing up in New Orleans and presently residing there and in New York City plus spending many youthful days in Southwest Louisiana, Crawford’s influences run the gamut from Fats Domino to Sarah Vaughan, to Patsy Cline and even Liberace. In the tradition of those from the Crescent City who came before him, Crawford also believes in the art of entertainment. He’ll get up from the piano, move to the apron of a stage, prance, joke and make folks feel at home. ​ As a child, Crawford attended both Baptist and the Catholic churches. He watched the pipe organist so attentively that when he first sat in front of the impressive instrument he already knew the function of the stops and pedals. The organ at his church was the first he ever played and throughout his life he’s continued to man the organ in both church and club settings. The prowess he developed is best exemplified on his 1998 Rounder Records release, the swinging, soulful and funky, The B-3 & Me. Tellingly, it includes two Ray Charles hits: “I Can’t Stop Loving You” and “Hallelujah I Just Love Her So.” At age seven, Crawford, who has often been compared to the great Ray Charles, made his first public appearance playing his favorite tunes from the master on a piano outside of New Orleans’ famous coffee stand, Café du Monde. Backed by quintets, big bands and on occasion orchestras, he’s also paid tribute to Charles at several outstanding shows around the world. His 2005 tribute to Ray Charles when he assembled some of New Orleans’ finest players to form the Davell Crawford Orchestra, has been noted as “One of The Best Concerts Ever”. ​ At just 10 years old, Crawford made an impression on the New Orleans gospel community by taking on the position of accompanist to the St. Peter Claver Catholic Church choir. By the time he was 11, his talents were utilized by the St. Joseph Baptist Church where he became the youth choir director, pianist and organist to the sanctuary and men’s choruses. Since then Davell has traveled the world conducting choral workshops and making appearances in gospel music. Throughout his career he’s also lead a host of award winning gospel ensembles. 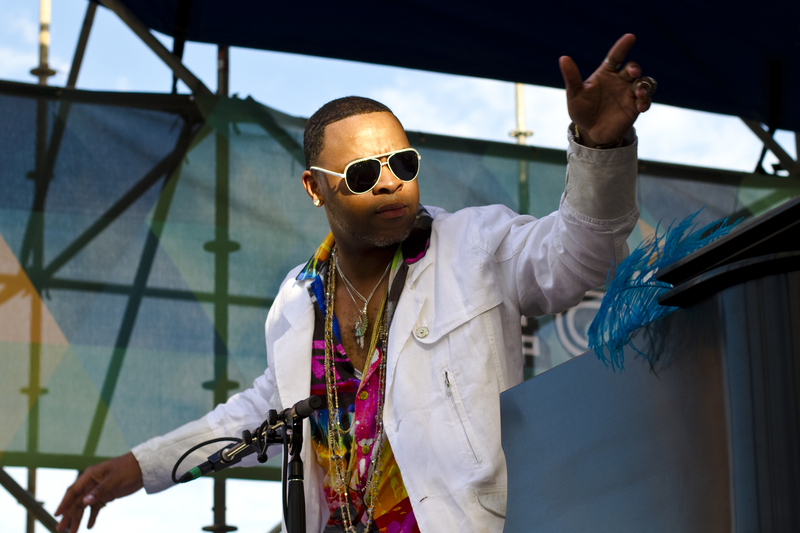 He chose the ‘creme de la cream’ of New Orleans gospel vocalists to form The Davell Crawford Singers, whose members are spread from the East to West coasts, while the core members remain in New Orleans. They continue to reunite today and are heard on his gripping CD, My Gift To You, his first on the Basin Street Records label. ​Gospel is at the heart of everything that Crawford does. Davell is the godson of the iconic Roberta Flack and the grandson of the great vocalist/pianist/composer James “Sugar Boy” Crawford of “Jock-A-Mo” fame giving reason for the honesty, passion, and ample rhythm and blues that also fills his soul. Crawford can—and has—thrown down all night R&B concerts and parties jumpin’ with tunes from the likes of pianists Fats Domino, Professor Longhair, James Booker and Huey “Piano” Smith. Crawford is definitely in that number as he carries the New Orleans piano legacy along with the complete American Roots legacy. 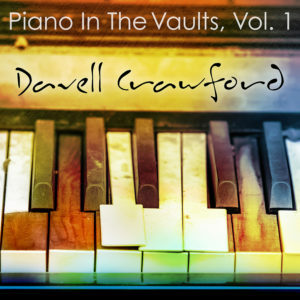 ​A softer, quieter side of Davell Crawford is revealed when, as heard on his 1999 release, Love Like Yours and Mine, he slips comfortably into his jazz mode on such classics as “Fly Me to the Moon.” His tenderness and informed jazz sensibilities shine with every note when Crawford approaches the standards. Often, he’ll be in a trio or quartet setting behind the grand piano or standing at center stage with only the microphone and the trio backing him for an evening of classic or modern jazz. ​Then again, he might don a silly wig and an eye patch in honor of the late great James Booker and take the house down by emanating his fellow pianist’s eclectic, frequently elegant panache. Crawford is also fully versed in the traditional jazz songbook of New Orleans, the birthplace of jazz. 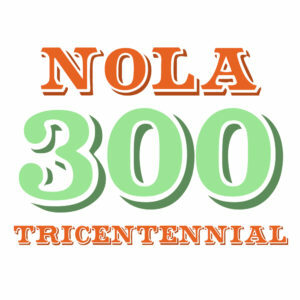 A fact that will be confirmed if you are lucky enough to experience a performance by Davell Crawford and His Creole Jazz Men of New Orleans. He’s also been known to make special rare appearances at the music’s landmark, Preservation Hall. ​With his immense talent and experience, the pianist and vocalist could have chosen his next release to be in any number of genres. On his meticulously produced album, My Gift To You, Crawford remarkably embraces the full spectrum of his interests and influences as he reaches into his rich bag of resources and natural abilities. On the disc, just as he has throughout the world during his decades-long career, Crawford celebrates his musical roots and becomes their ambassador. As the Prince of New Orleans joyfully expresses on the opening track of My Gift To You: “I am the Creole man, I come from foreign lands to spread the news…” He also expresses, just as momentously, on the closing track, “Louisiana, I love you for all you’ve given to me, I promise never forget you as I travel o’ve the stormy sea.” Crawford’s latest release, Piano in the Vaults, Vol. 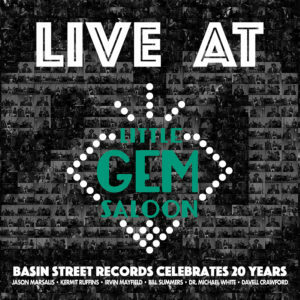 1 (Out April 2016 on Basin Street Records) takes a step back from the heavily orchestrated My Gift to You and showcases Crawford’s raw talent as a performer saturated with the soul and history of New Orleans music. The album is the first in a series of six volumes of solo recordings done between 1998-2013. On the album Crawford draws inspiration from the long lineage of New Orleans piano players including Jelly Roll Morton, Fats Domino, Professor Longhair, Allen Toussaint, and James Booker. Piano in the Vaults, Vol. 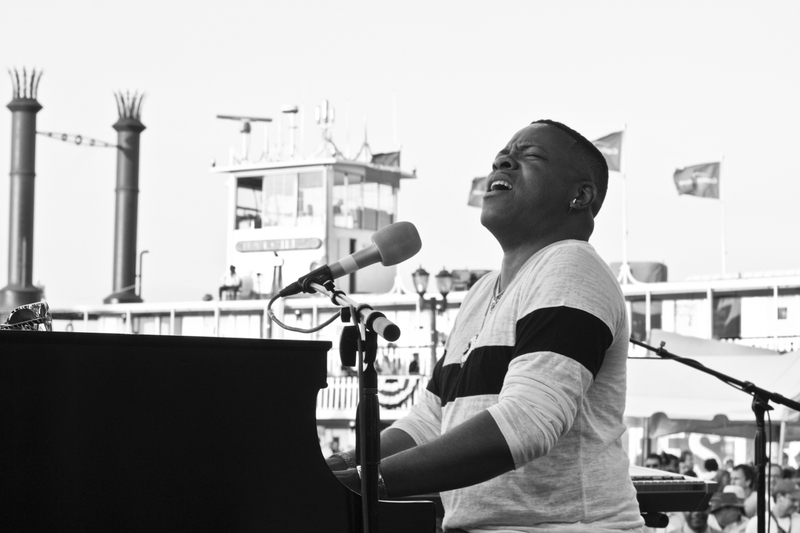 1 secures Davell Crawford’s role as a tour-de-force of the New Orleans piano tradition with a unique vocal talent. Listeners of the album will have no trouble listing Crawford’s name in the short list of truly great New Orleans piano players.